MANGALORE: The JMFC Court in Mangalore has issued Non-bailable arrest warrant against a woman doctor, hailing from Davangere and her father for submitting a police complaint of alleged dowry charges against her husband and in-laws. According to Advocate PP Hegde, Dr. Ranjeetha Shenoy of Davanagere was married to Dr. Gurukanth Rao, assistant professor of Medicine at KMC Manipal. 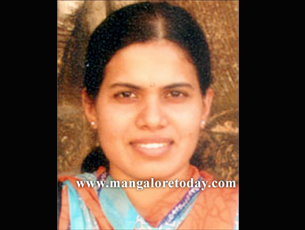 After the marriage Dr. Ranjeetha resided with her husband only for 15 days and started insisting that he should come and reside in her parental house in Davanagere. When he refused she abandoned him demanding divorce and Rs 1 crore threatening to lodge false dowry case if money was not paid. On coming to know that she was in Mangalore, her husband Dr Rao met her and requested her to join him back but she demanded divorce and compensation. When Dr Rao did not agree, she went to Mangalore South Police Station and lodged a false criminal case alleging that Rao and her father in law Dr N R Rao demanded dowry, physically and mentally tortured her and threw her out of the house. The police summoned Dr Rao and his parents and held a detailed enquiry by questioning the relatives and neighbours. It was revealed that there was no dowry at all in the marriage and all the marriage expenses were borne by the husband. Allegations of cruelty, beating etc were found to be false. Police concluded that it was a false complaint and hence closed the case. Dr. N.R.Rao, senior physician of Manipal and his family was deeply hurt on account of this false complaint and approached the JMFC Court praying the court to take action against his daughter in law and her parents for filing false complaint of dowry and harassment. After enquiry, JMFC Court found that there are prima facie materials showing that Dr Ranjeetha and her parents lodged a false complaint of dowry, harassment etc to the police and abused the anti-dowry laws and thereby committed perjury and defamation. The JMFC Court upheld the arguments of complainant's advocate and ordered to register criminal case (as per C.C.No.1214/14) against the trio. The charges carry maximum of two years prison sentence. In the meanwhile, Dr Ranjeetha has left Mangalore and presently she is reportedly absconding and failed to appear to the Court in spite of summons. Hence JMFC Court has issued non-bailable warrant for the arrest of the three persons and directed Mangalore Barke Police to arrest and produce them before the Court. Barke police confirmed they had received the warrant of arrest said the team had left for Davangere on September 19 and have not found the trio in Davangere.